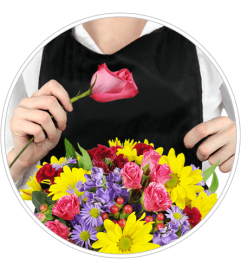 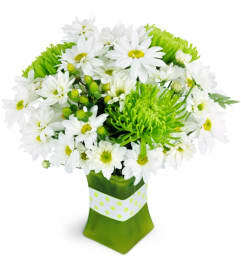 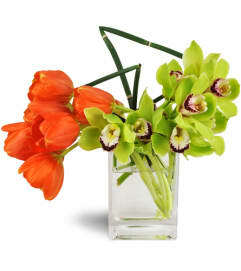 Sweet and charming, this flower bouquet delivery warms the heart with its captivating colors and pleasing beauty. 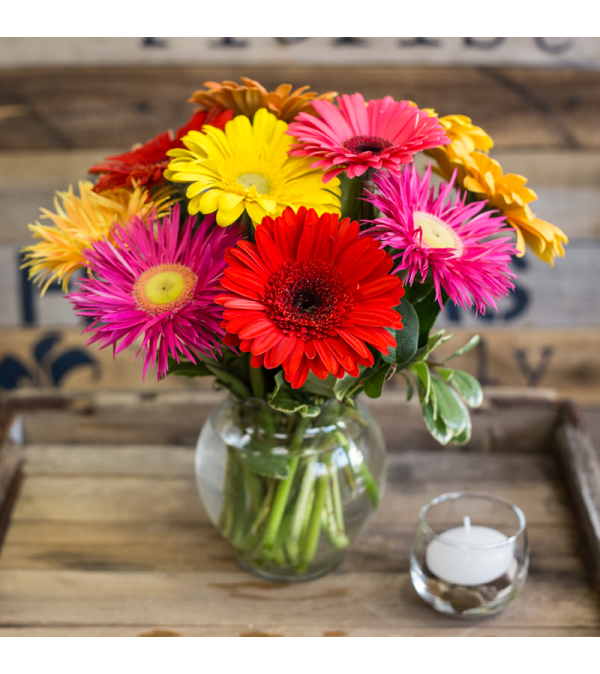 An assortment of gerbera daisies in vibrant colors are exquisitely hand arranged with lush greens for a floral presentation that is simply stunning. 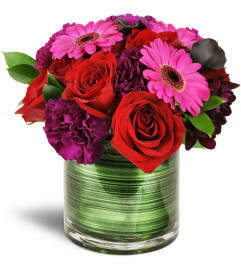 Housed in a clear glass vase for an elegant look, this flower arrangement is sure to light up your recipient's day, whatever the occasion.